Our Southside cosmetic and family practice offers a full range of dental services. We enjoy building long-lasting relationships with our patients. 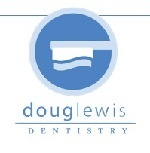 We make your appointments as comfortable as possible, and provide the latest in dental care.